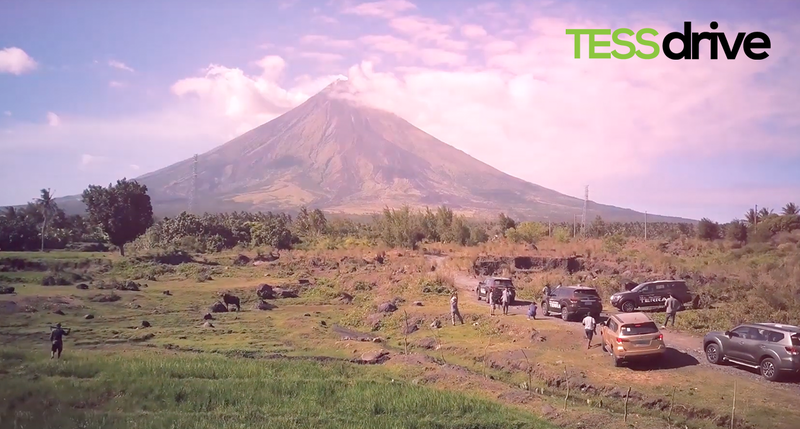 The active Mount Mayon volcano in Legazpi, Albay Province, towering more than 2,460 meters above sea level was the dominant backdrop during the recent Nissan Terra midsize-SUV drive by local motoring scribes, including the TessDrive team. The Terra is Nissan’s first entry in the mid-size SUV segment in the Philippines, and it’s the segment where the most heated war is being waged. A descendant of the legendary Patrol SUV, this new frame-based Terra was introduced to meet the rising customer demand for SUVs. “Over 60 years of SUV heritage went into the development of the Nissan Terra,” said Ramesh Narasimhan, former president and managing director of Nissan Philippines Inc (effective April 1, 2019, Narasimhan became Nissan Thailand president).